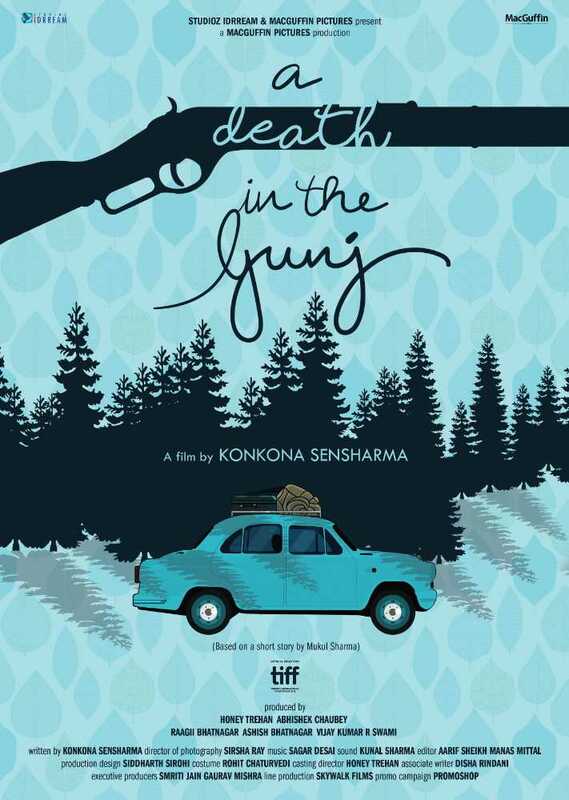 Konkona Sensharma recently won the best director award for A Death in the Gunj at the New York Indian Film Festival. Set in the 1970s in a small town called McCluskieganj, the movie has received a flood of glowing reviews. As it hits the cinemas today, we catch up with the actor-director who talks about an old, forgotten neighborhood. Let’s talk about A Death in the Gunj. When and where was the story born? This is a film set in 1979 in the antique, little town of McCluskieGanj. Founded in 1933 by Ernest Timothy McCluskie, a businessman from Calcutta, in 1933, it was supposed to be an Anglo-Indian haven. After Independence, a lot of Anglo-Indians left and this place was deteriorating. The movie is about a Bengali family that goes on a trip; something goes wrong and someone dies. It is based on stories that I have heard growing up when my grandparents lived there. Yes, the story has nostalgic value to it because I have spent my childhood there. And the characters are derived from the people that I have known. When did you start working on the script? I used to ask my father to tell me this story over and over again. And then it just started developing in my head and in the last three to four years, I fleshed out all the characters. I knew it would be a week-long trip, I knew who was going to die…the pattern had been set. What were the challenges you faced as a director? It is not a conventional, mainstream story, nor does it have big stars, so raising the funds took time and distribution was a challenge. Besides, it was my first film so I was neurotic and insecure. But I had a fabulous associate in Disha Rindani who helped me along the way. I had known and thought about this plot ever since I was little and it just became bigger and bigger as I developed a full story around it. So I approached a few writers, and whenever I would meet them I would tell the story in great detail and they said, ‘You should write it because you know this world really well’. What is the reason behind constantly choosing unconventional films over mainstream cinema? I am not approached for those kinds of films. I think the industry knows that I wouldn’t be interested. And if one is going to be picky then one is going to have less work. Sometimes, the economics of it doesn’t pay off, sometimes it does. But that is the world I have chosen and it is very deliberate. This is what I feel most comfortable doing and being. A film that is really close to your heart…. 15 Park Avenue. I was playing a schizophrenic person in the film and I did not have to worry about whether my character was likable or how it looked. I was able to explore the role with certain honesty because I have also known somebody like that. People who inspire you and your work…. My mother is definitely an influence because I have seen her work, been involved in her films ever since I was a kid. As a child, I was never allowed to watch Hindi films because my mum wanted me to watch all kinds of cinema and a lot of the mainstream films from ’80s were not that great. She never let me watch the Ramayana or the Mahabharata on television because she did not want my first impression of the epics to be like that. I was not even allowed to watch The Bold and the Beautiful. But we watched a lot of regional cinema, European films and old Hollywood ones. Of course, there were some Hindi films that I really loved like Masoom, Mr. India and Saagar. Other influencers would be Rituparno Ghosh and Satyajit Ray.